There are times when personal injury lawyers and their clients ask what specific benefits can be expected from a company that deals with legal funding for lawsuits. 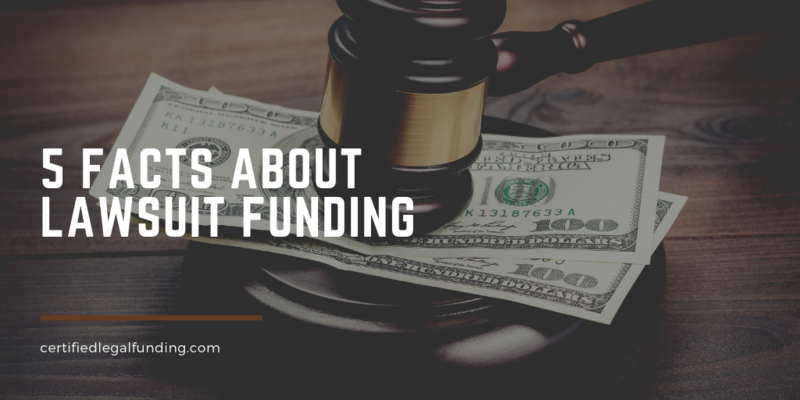 There are instances when law firms demonstrate resistance toward legal funding companies when their clients apply for pre-settlement funding. The reasons for distrust and resistance revolve around negative stigma to the litigation finance industry with regard to price. Also, the idea of counseling their clients about financial transactions is outside the scope of their representation. Lawsuit settlement funding has evolved significantly since its inception. There is much more competition nowadays and the prices need to be more competitive. It isn’t uncommon that today, legal settlement loans are offered for less than it costs for an advance on a credit card. However, there are certain companies that charge more expensive rates in order to meet their objectives. Everyone is well aware of the need to settle the case; especially lawyers who work on a contingency fee basis understand that the interests of all parties involved are served if the case settles before trial. Even if a good verdict is reached, personal injury lawyers have to spend time and money pursuing justice in appellate courts. People who work for legal funding companies are aware of this fact. Therefore, pre-settlement funding liens inhibit settlement on rare occasions. Everyone’s giving their best that this becomes an exception rather than the rule. The cooperation of the plaintiff’s attorney is important in every case of pre-settlement funding. The attorney’s office must forward the documents relevant for supporting the client’s request for money. The attorney and the representative of the legal funding company have to have a conversation prior to the approval of the loan. It’s probable that many attorneys have had requests for an advance from their clients. However, ethical rules forbid this kind of assistance from an attorney which isn’t helpful at all to the clients who need money to pay their bills or medical expenses if they sustained severe injuries that require costly medical treatment. The process of approving pre-settlement funding will go smoothly if an attorney forwards relevant documents in a timely manner. The documents can be emailed or faxed so it doesn’t require much time and the approval goes more quickly and the client will get much-needed money as soon as possible. Offering legal loans to people who need them is a business as any other. Legal funding companies operate like other businesses and have certain origination costs such as marketing costs or administrative expenses and each company provide their services to turn a profit. This is important to be mentioned because some lawyers tend to negotiate the terms of a lawsuit funding transaction after the case settles. This isn’t an appropriate time for negotiations. If negotiations need to occur, they should be done before an agreement is executed. There are many changes that happen over time in every business, but the ultimate goal remains the same- to help clients achieve justice.